My coach says when I jump up on the bar I need to have active shoulders. Your teaching is different. Could you explain? David Bradley explains the two positions in gymnastics. David Bradley explains how to get shape change to happen. 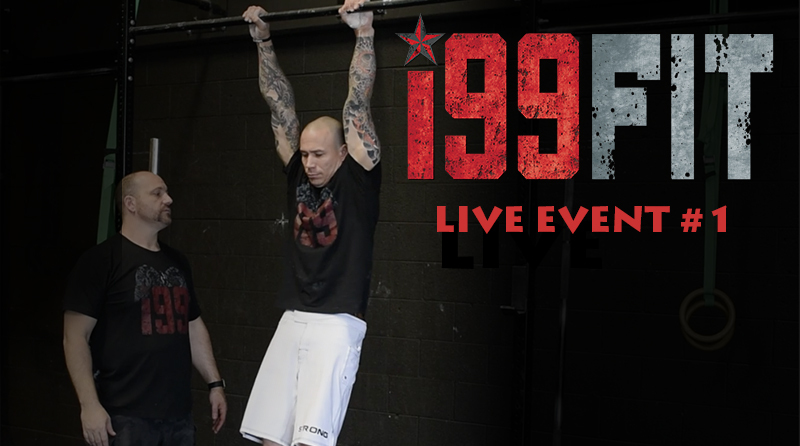 This live Vekeo event was hosted by i99 Fit and David Bradley, coach and Founder of i99 Fit. The technique topic for this first LIVE event was on the basic hollow-arch swing which is the foundation of kipping pull-ups and bar muscle-ups. David’s daughter, Madysen assisted by moderating questions and demonstrating the movements. The focus of the event was to introduce the i99 Fit approach to the fundamentals of kipping on the bar. During this event, David points out the 3 most important aspects of the hollow-arch swing and gives athletes and coaches practical cues to help them find their true center of gravity while improving overall body tension and awareness.